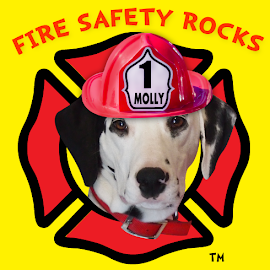 Fire Safety Rocks: Vision 20/20 Model Performance in Fire Prevention Symposium in Washington, DC! 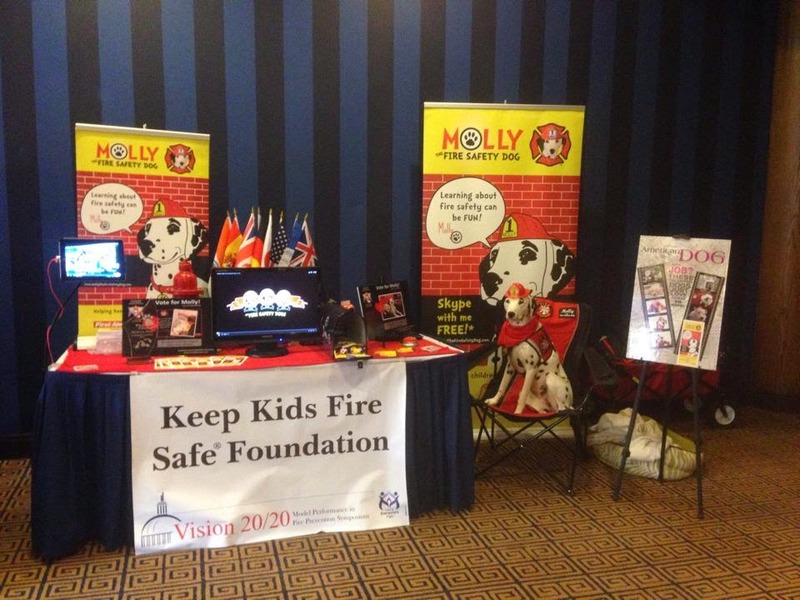 Vision 20/20 Model Performance in Fire Prevention Symposium in Washington, DC! 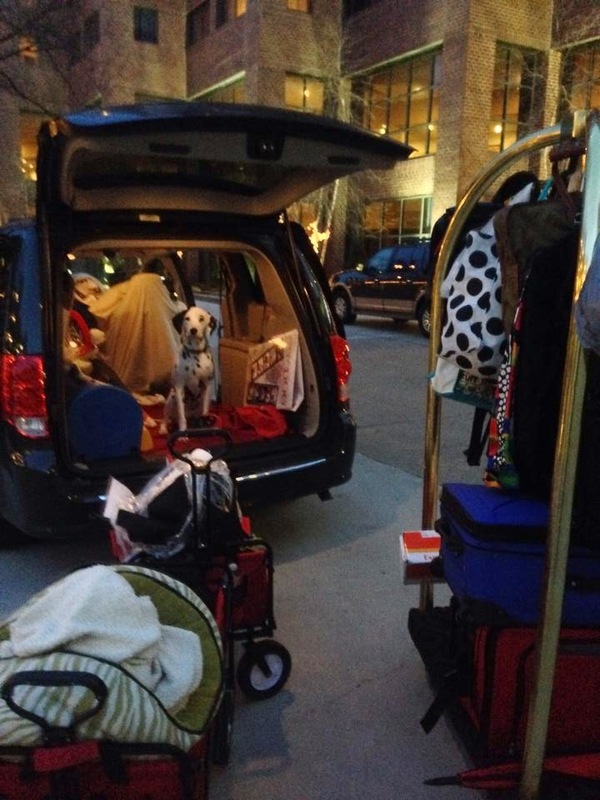 On March 24th, we left Arkansas for the Vision 20/20 Model Performance in Fire Prevention Symposium in Washington, DC! 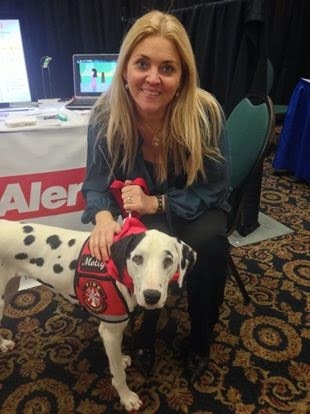 The symposium had some of the leading fire safety educators in the country in attendance, including me and my Mom! 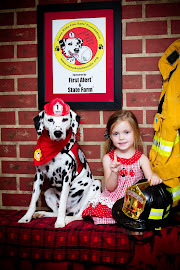 Keep Kids Fire Safe, of which I am spokes dog and Firefighter Dayna is the Executive Director, went through a big process to be selected to have a booth there to share our fire programming, so we are very honored and excited! 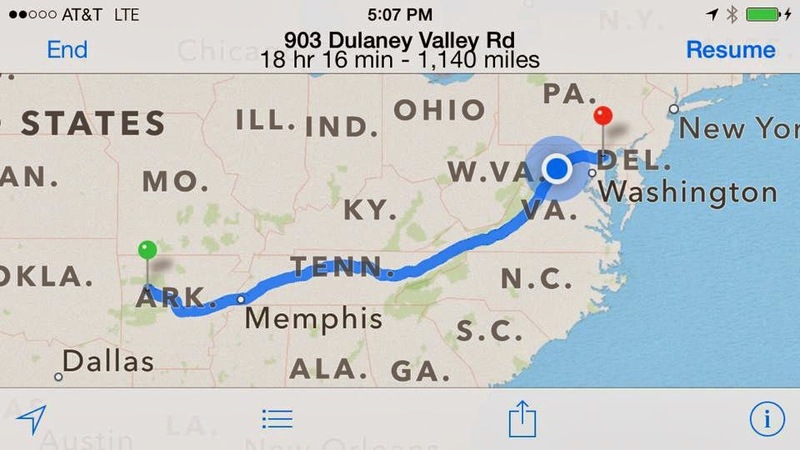 Here was our route! It took us two days to get there! This was our booth! 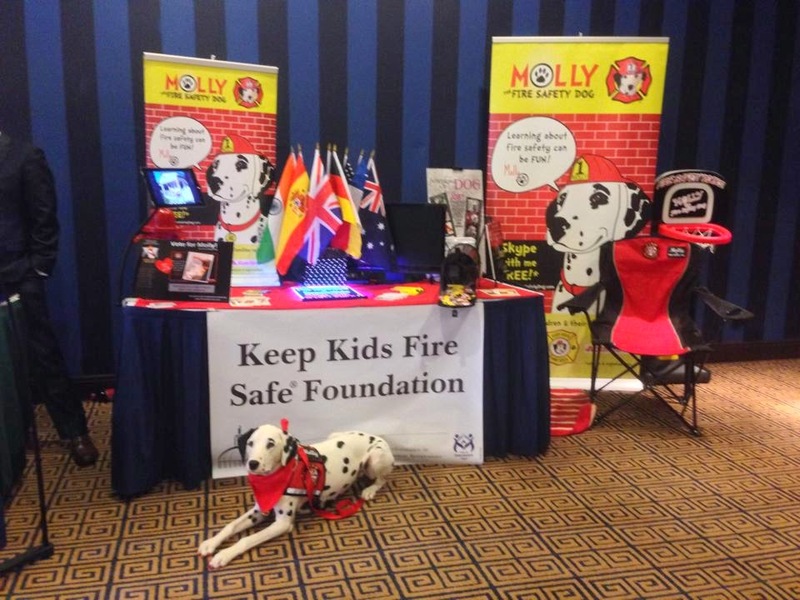 We had an amazing time sharing the work of Keep Kids Fire Safe and all the fire safety programs that we have, including our Skype with Molly program and Molly's Safety Spot! I stopped by the First Alert booth to check out all the latest smoke alarm news and to say hi to my friends, Debbie and Gigi! I met Sarah Lee, Deputy Director of the National Volunteer Fire Council! 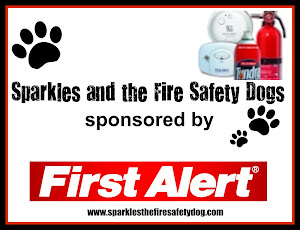 Sarah has met all of the Fire Safety Dogs and Sparkles and Spanner even participated in a Congressional Briefing with her in 2006. 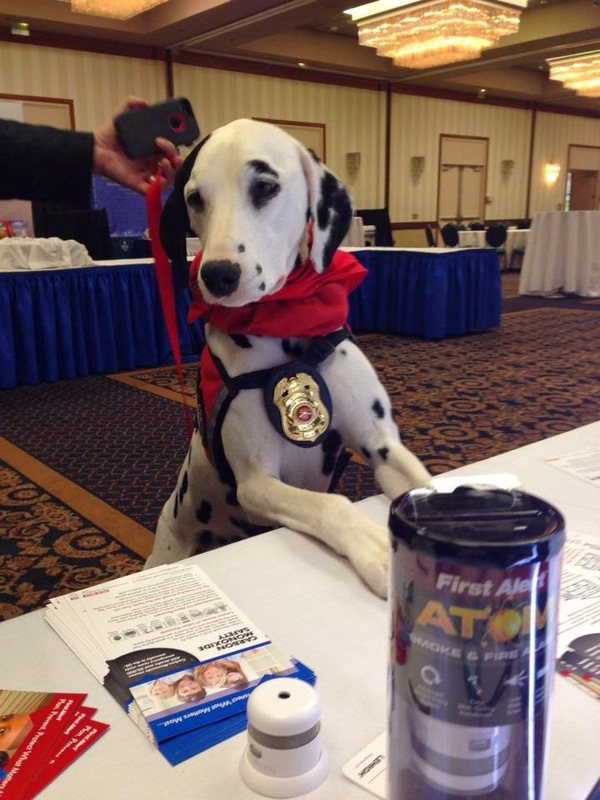 She loves helping keep people safe too! 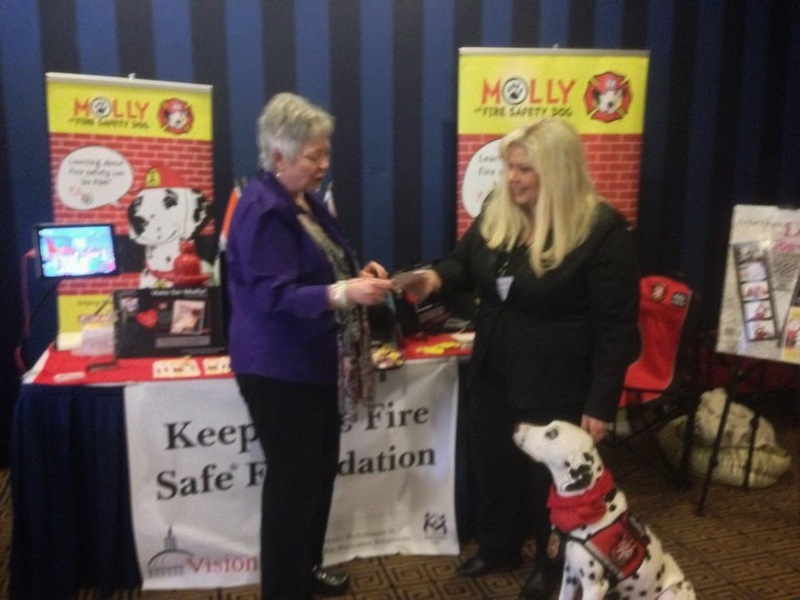 I was so excited to meet Nancy Trench from the International Fire Service Training Association. Firefighter Dayna told me that if it weren't for Nancy, IFSTA and our good friend, Cindy Finkle, our program wouldn't be where it is today! 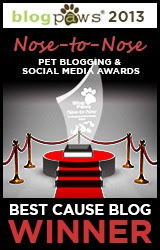 Thank you, Nancy, Cindy and IFSTA! 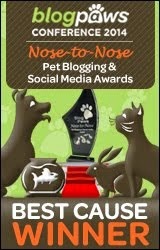 As you may have noticed, we have another vehicle we are taking to DC. Our SpotMobile (Firefighter Dayna's personal vehicle) is at the shop and it will cost us $3,700 in repairs. Ouch! 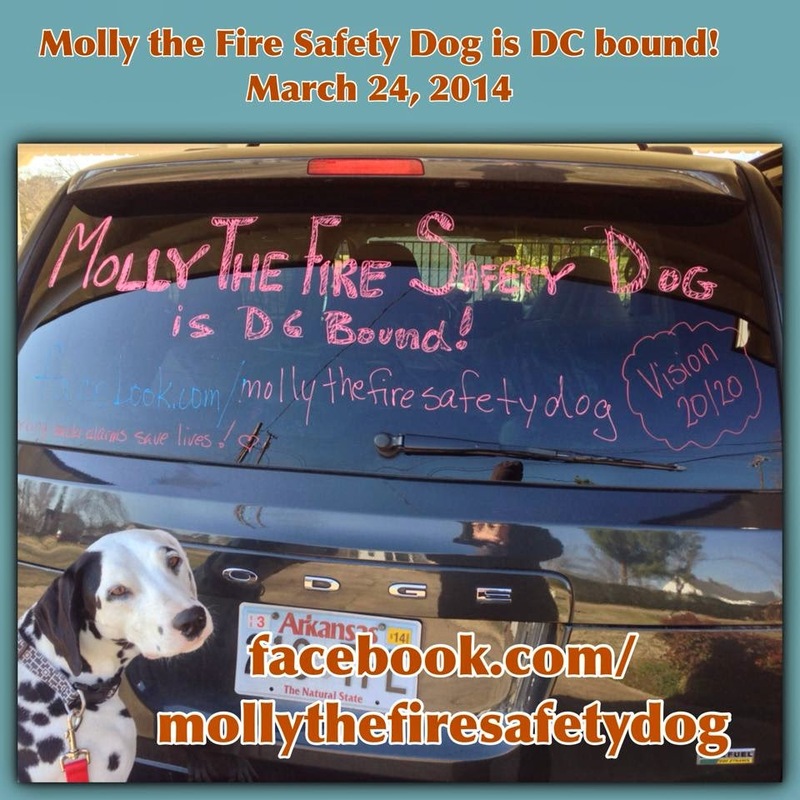 We have put over 130,000 miles on it traveling all over the country teaching fire safety. The van we are renting costs $1,000 for the trip, but this trip will be one if the most important things we do all year! 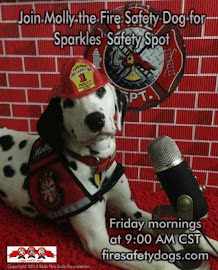 We have just got to get the word out to all the fire safety educators out there. 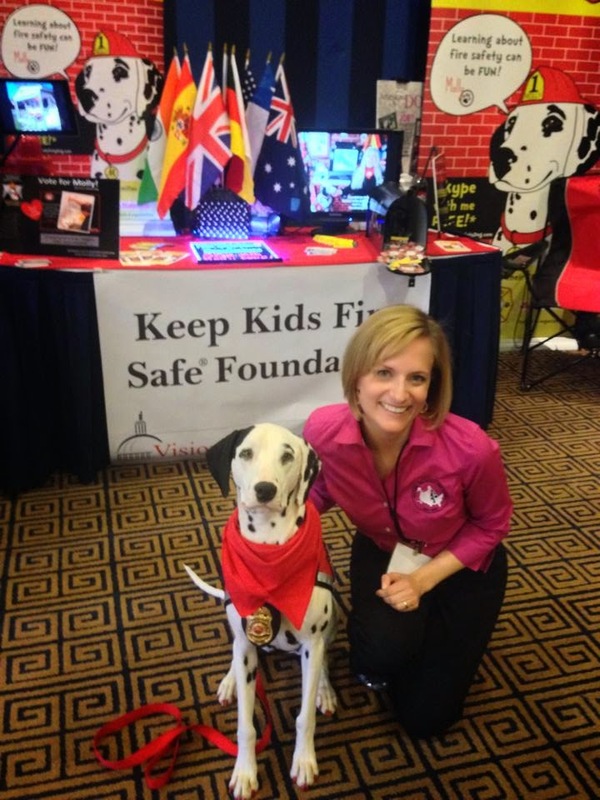 If you would like to help support Keep Kids Fire Safe by a donation (any size welcome), please visit HERE.